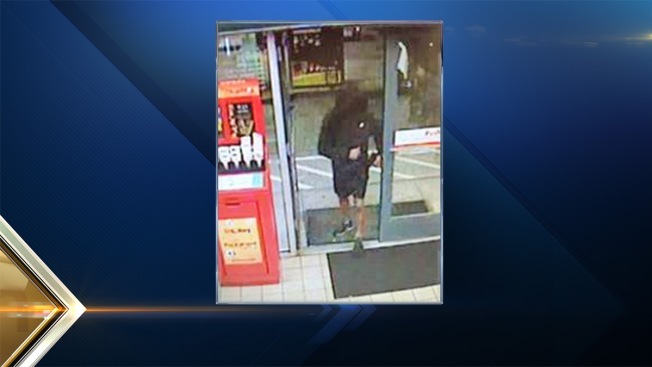 Authorities are searching for an armed robbery suspect in New Hampshire. Manchester police say the robbery at a Shell station on Hanover Street happened just before 3 a.m. Tuesday. The clerk, who police described as visibly shaken after the robbery, told authorities the suspect pointed the gun at him during the robbery before fleeing on foot with an undisclosed amount of cash. The suspect is described as about 5-foot 7-inches with a thin build, and was wearing a black hooded sweatshirt, black short, black ski mask and black sneakers.